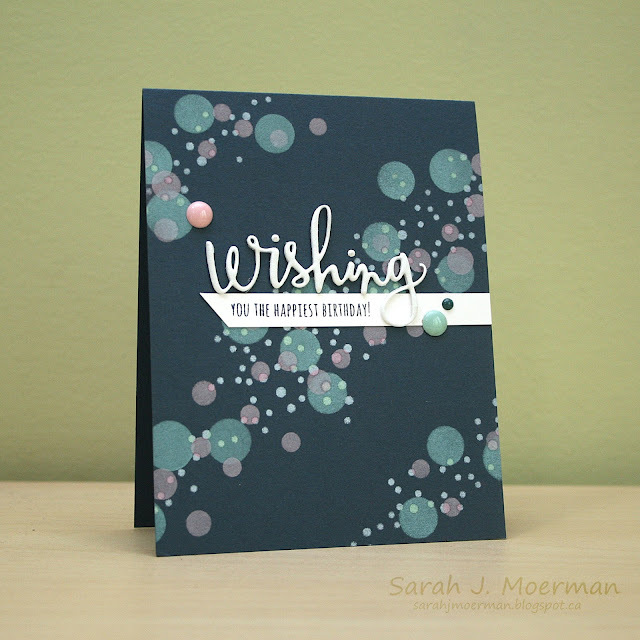 I'm popping by to share a card featuring some Simon Says Stamp goodies paired with Distress Oxide Inks. I thought it'd be fun to try using these inks on a darker color of cardstock with a stencil. Here's what I came up with using Simons's Bokeh Lights Stencil Set with Distress Oxide and Simon's White Pigment inks on Simon's Soft Navy Cardstock. 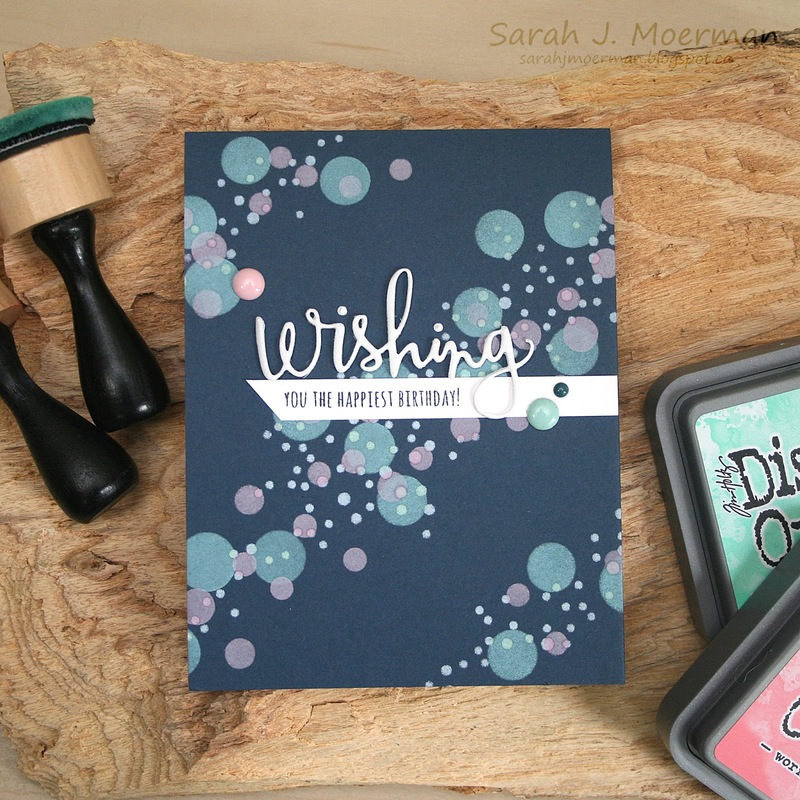 The Wishing Die was cut from White Fun Foam and paired with the coordinating Sending and Wishing Stamp Set. 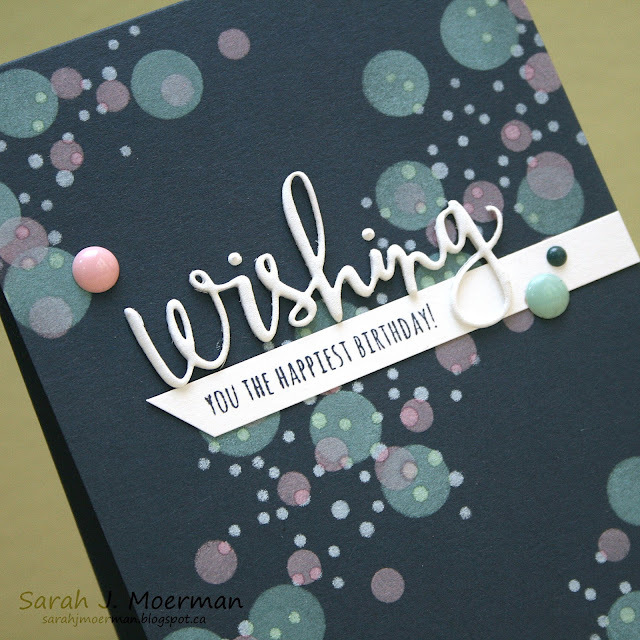 I finished things off with some matching Enamel Dots and am really happy with how the card turned out. The inks layered wonderfully! I love navy. This is such a great effect, I need to get some oxide inks for sure. LOVELY!!! I'm going to have to try the oxides on dark card stock! this is really a unique and beautiful card, Sarah. Thanks for sharing with all of us. What a wonderful design using these stencils...love the colour on dark cardstock. So pretty! I'm just starting out with card making and I really enjoy the cards you make! SSS July Card Kit Hello Card & Giveaway!